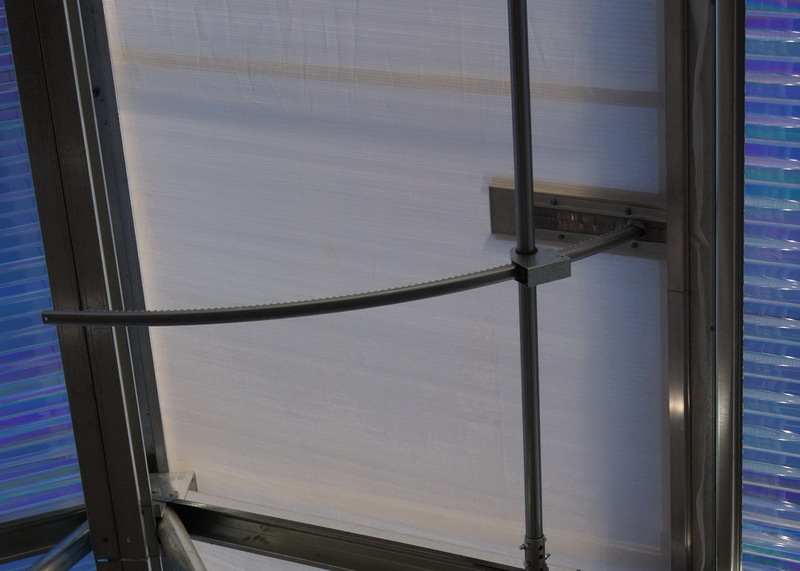 The screen system is uses fixed insect screen with nylon brushes to allow the racks to pass through but keep the bugs out. 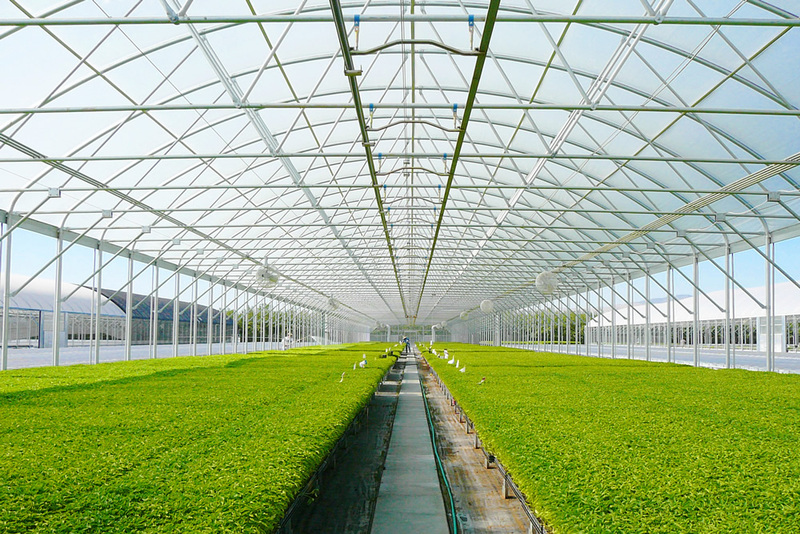 The screen fabric itself is constructed of UV-stabilized acrylic and polyethylene materials, offering between 4-8 years of protection. 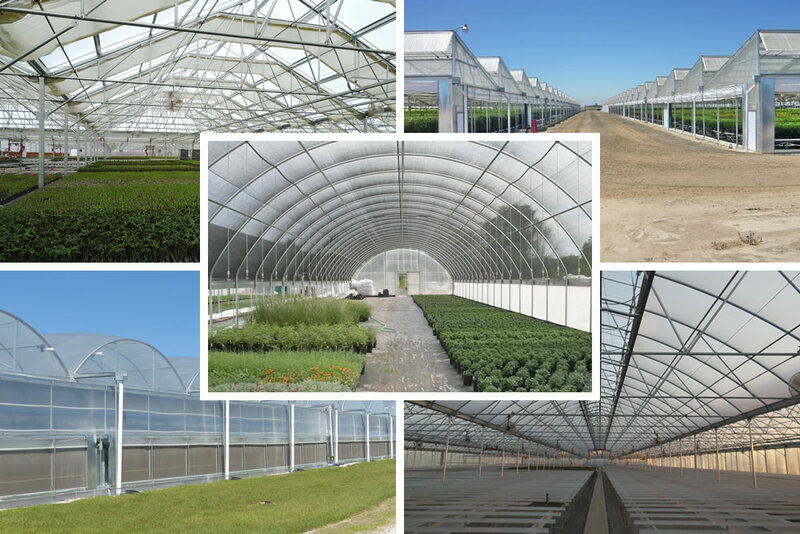 Coupling the insect screen with Agra Tech’s smooth running roof vents helps keep insects out of the greenhouse environment. (The screen is sold separately).